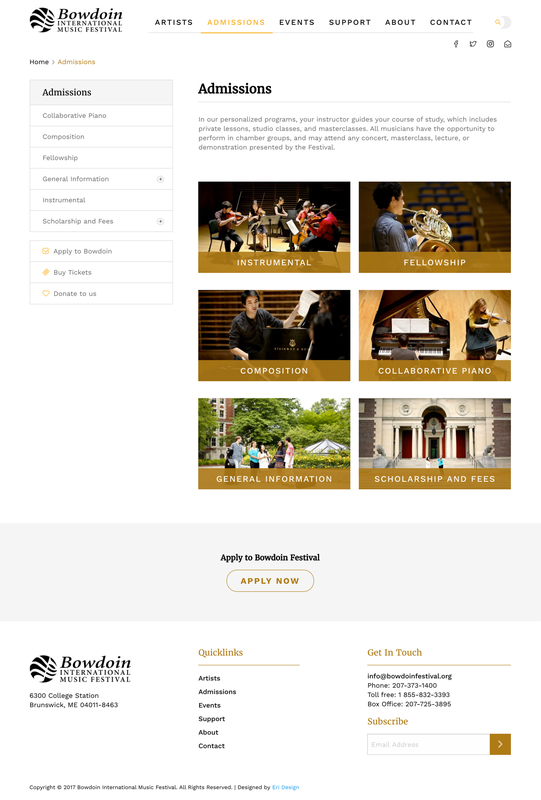 The mission of the Bowdoin International Music Festival is to provide gifted young musicians from around the world with an opportunity to study with world-class artists, and to provide audiences with classical music performed to the highest artistic standards. 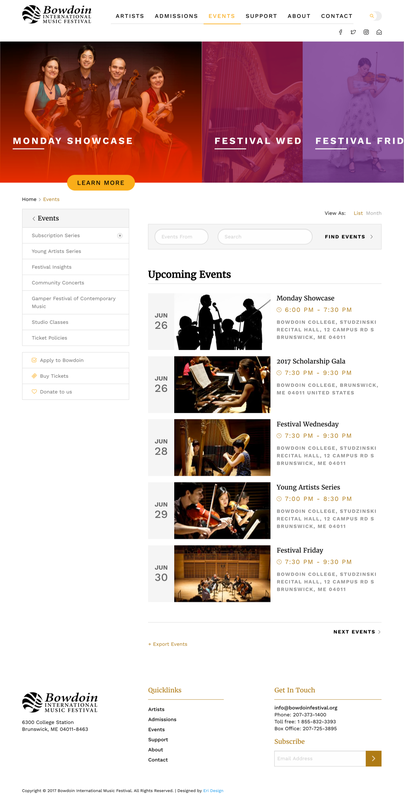 The Bowdoin International Music Festival runs for six weeks each summer, comprising seven concert series, intensive summer study, and service to Midcoast Maine and the world of music. 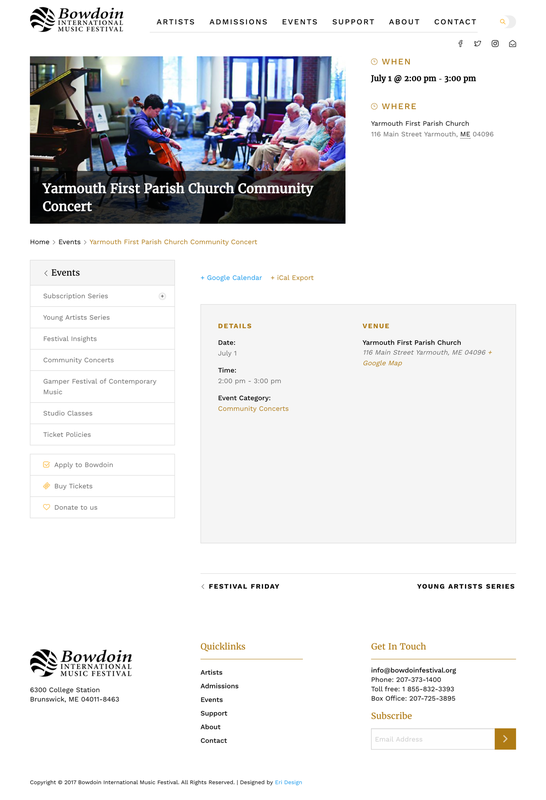 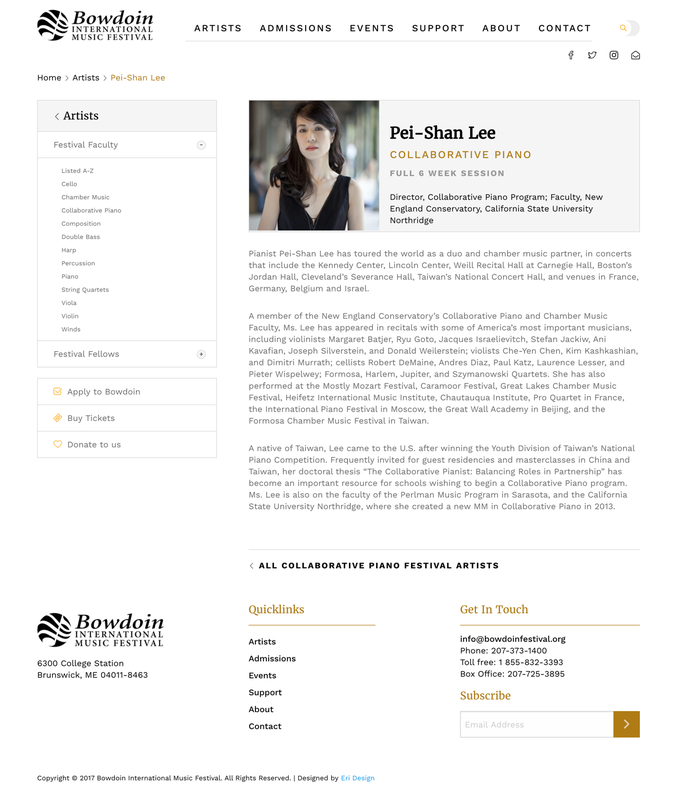 Bowdoin’s new website highlights the artist faculty, summer study, and concert series, which stand at the heart of their mission. 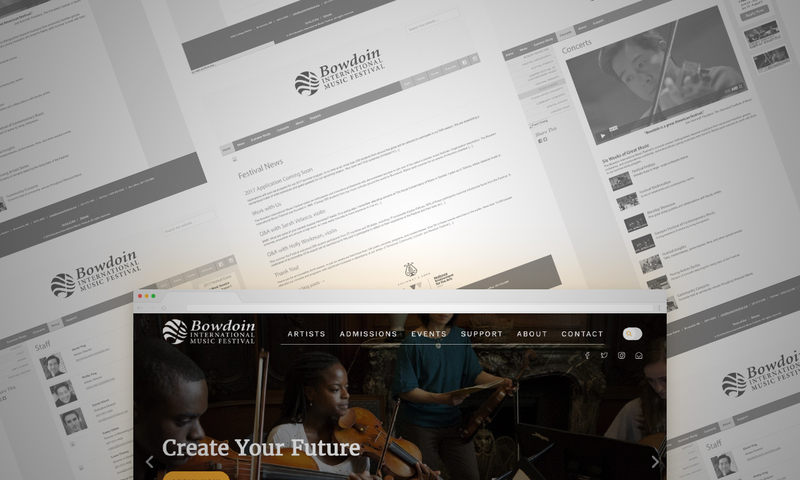 Driven by powerful images and modern design, their new site echoes the creativity and prowess of their artists. 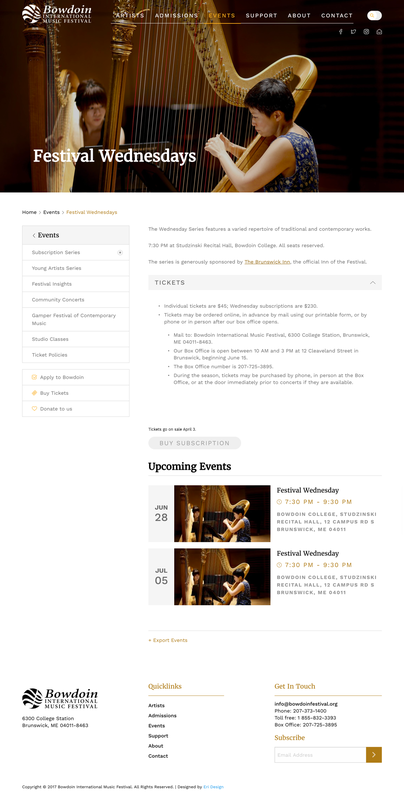 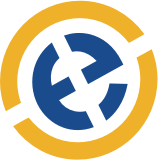 Unique micro-actions, multiple pathways to navigate, and site-wide call to action buttons provide an optimal user experience. 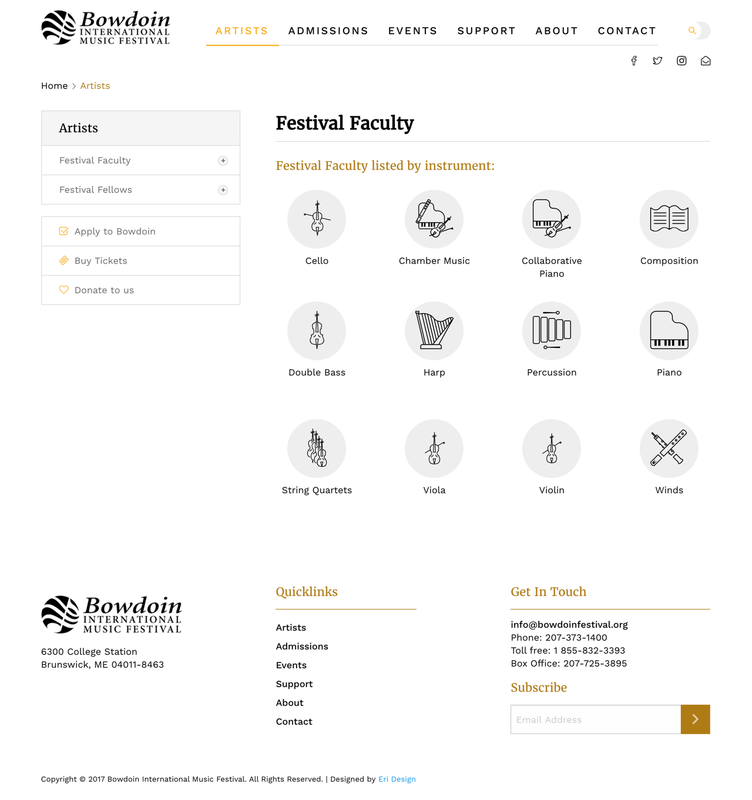 Finally, the backend controls are intuitive and easy to manage by Bowdoin’s staff.